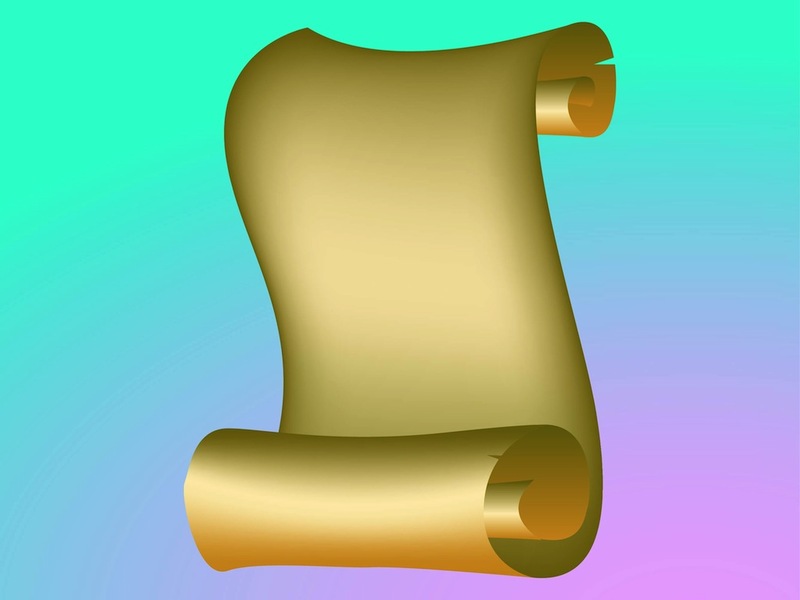 Realistic parchment vector graphics of an old paper scroll. Blank paper with curved ends. Detailed illustration of the aged paper, uneven edges and gradient colors. Free vector design for manuscripts, old paper, literature, artifacts and ancient documents. Download old scroll for posters, event invitations and flyers. Tags: History, Manuscript, Old, Papyrus, Parchment, Realistic, Scroll.